With Rob Cown. Including Five Reasons to Love Schubert Lieder; Musical challenge; Artist of the Week: conductor Simon Rattle; Rob's Essential Choice: Berg: Wozzeck. Discover definitive recordings of the greatest classical music with your trusted guide, Rob Cowan. His guest is the playwright and novelist Michael Frayn. A selection of music including '5 Reasons to Love... Schubert Lieder'. Throughout the week Rob enjoys songs by Schubert, with performers including Dietrich Fischer-Dieskau, Jonas Kaufmann and Margaret Price. Take part in our daily musical challenge: listen to the story and tell us what happens next. 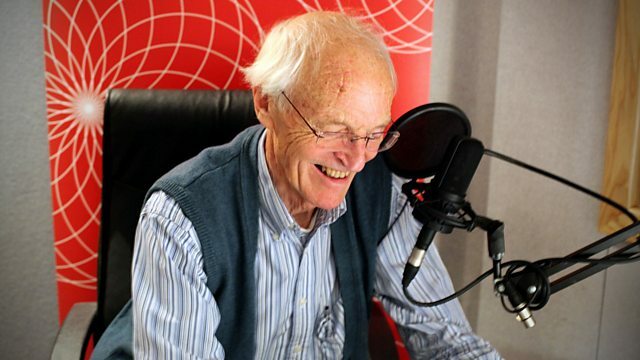 Rob's guest this week is the writer Michael Frayn; a successful dramatist, novelist and translator, Michael started out as an award-winning journalist. Michael will be sharing his favourite classical music every day at 10am. This week Rob features recordings by Sir Simon Rattle, widely considered to be one of the foremost conductors of his time. Radio 3 continues its celebrations of Rattle's 60th birthday. Rob showcases some of his favourite recordings by the conductor, including music by Haydn, Szymanowski, Bruckner and Shostakovich, and featuring the Berlin Philharmonic, the City of Birmingham Symphony Orchestra and the Philharmonia. Today's Essential Choice is taken from the Building a Library recommendation from last Saturday's CD Review. Orchestra: Boston Pops Orchestra. Conductor: Arthur Fiedler. Performer: Ian Brown. Performer: Maxim Vengerov. Performer: David Oistrakh. Conductor: Alceo Galliera. Orchestra: Philharmonia Orchestra. Orchestra: Polish National Radio Symphony Orchestra. Conductor: Ulf Schirmer. Performer: Jonathan Kelly. Performer: Stefan Schweigert. Performer: Tōru Yasunaga. Performer: Georg Faust. Orchestra: Berlin Philharmonic Orchestra. Conductor: Sir Simon Rattle. Choir: Armonico Consort. Director: Christopher Monks. Naked Byrd two: Armonico Consort. Orchestra: Vienna Philharmonic Orchestra. Choir: Vienna Boys' Choir. Singer: Hildegard Behrens. Singer: Heinz Zednik. Singer: VIktor Lehner. Singer: Anna Gonda. Conductor: Claudio Abbado. Singer: Franz Grundheber. Singer: Aage Haugland. Orchestra: Vienna Philharmonic. Conductor: Sándor Végh. The pianist Daniel Steibelt was regarded as “a most unvirtuous virtuoso,”known for spreading lies, cheating and stealing, and telling everyone he met that Beethoven was a hack performer and was scared of him. One day Steibelt challenged Beethoven to a duel. They met at the house of the Count von Fries, with an audience of around 100 people. The duel took place according to traditional conventions. In the first round the performers played apiece of their own choosing. Beethoven played a sonata by Mozart. Steibelt played one by Haydn. The second round was a two-piano contest of alternating improvisations on themes given by each performer to the other.Beethoven soundly won this round. In the final round each performer had to sight-read a new piece written by the other. Steibelt went first, playing Beethoven’s Piano Sonata in B Flat Major, Op. 22. He did well enough,earning great applause, and then tried to trip Beethoven up by giving him anew cello sonata, for cello and piano. What happened next? Answer: Beethoven took the score, turned it upside-down on the music rack, and sight read it backward, then improvised on one of its themes for about 30 minutes.Steibelt was thoroughly destroyed, and didn’t wait for Beethoven to finish. He walked out and never met with Beethoven again.